One of the splendid spacious intergalactic heroics is that of the Star Lord, which has been starred by Chris Pratt. Star Lord has put on the glorious touch with all the blasting astounds straight on with his Star Lord Vest. We have seen him mostly in the red crust get ups. 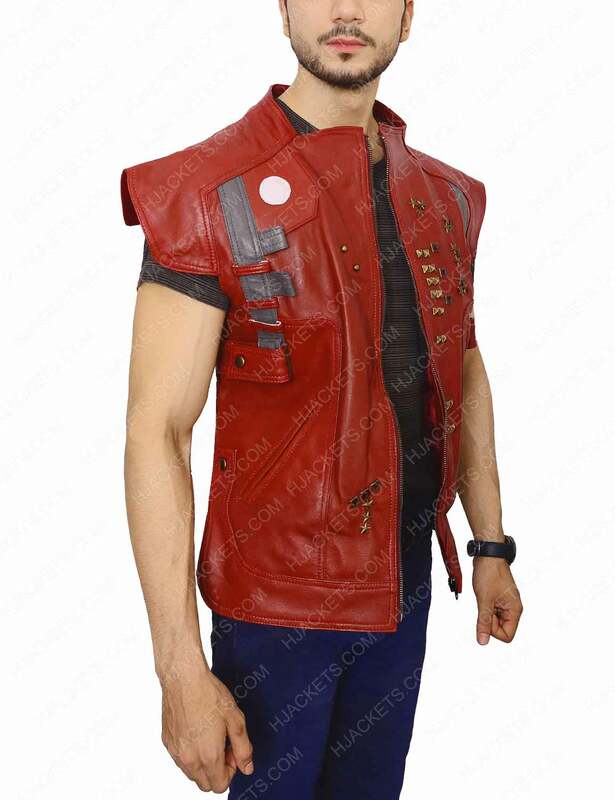 As the Star Lord Vest embodiment shows an ablaze adventure in the most beguiling way. One of the most alluring adores of the wardrobe have become more space than being in the earth’s ecosphere. Precisely, when we talk about the Guardians of the Galaxy. We proudly talk about the intimidating characters that we exuberantly want to imitate. Here you’re spectating is a one of a kind limited edition Star Lord Vest. That has been invented with leather craftsmanship ingenuity. This garb get up of Peter Quill quintessential has been the talking trend among the space odyssey fanatics. The craft cut is rusty red in color and peaked with a hint of a mandarin collar countenance. 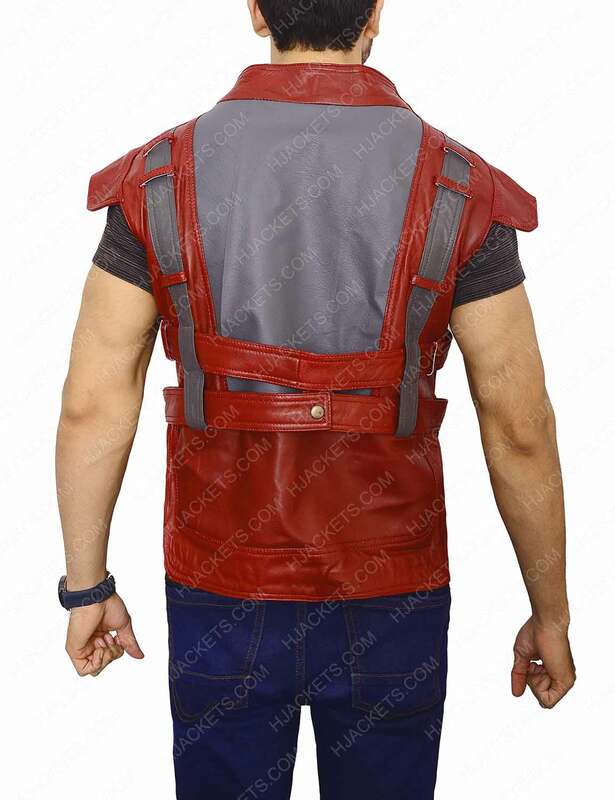 Besides, this sleeveless subtle Star Lord Vest comes with a front zip closure and is an amazing rendition to let you buckle up the classy cosmos vogue just in just a few instants. 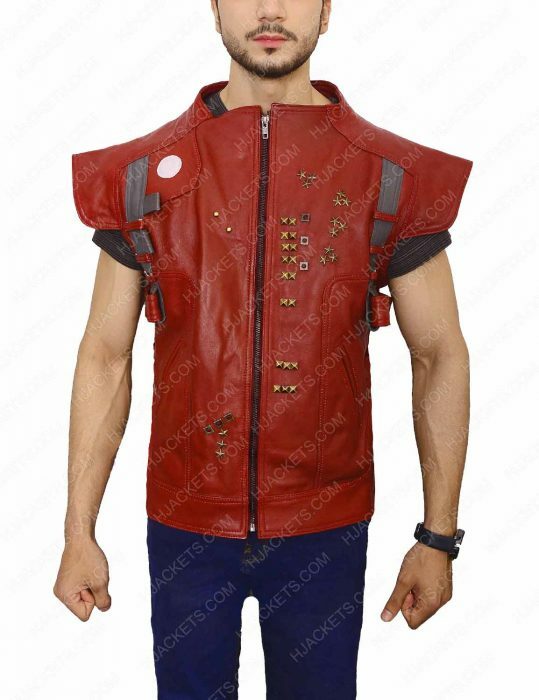 Similarly, the stunt of Star Lord reaches his ultimate peak with this prestige vest that is garnished with drops of antique steel bits right onto the chest side alongside a brass hook hem pressed efficiently. Going straight from the interstellar scoop to the innovatory attire inventions, we have observed some of exceptional ensemble renovations that have been highlighted in this epic high terrestrial terrains. 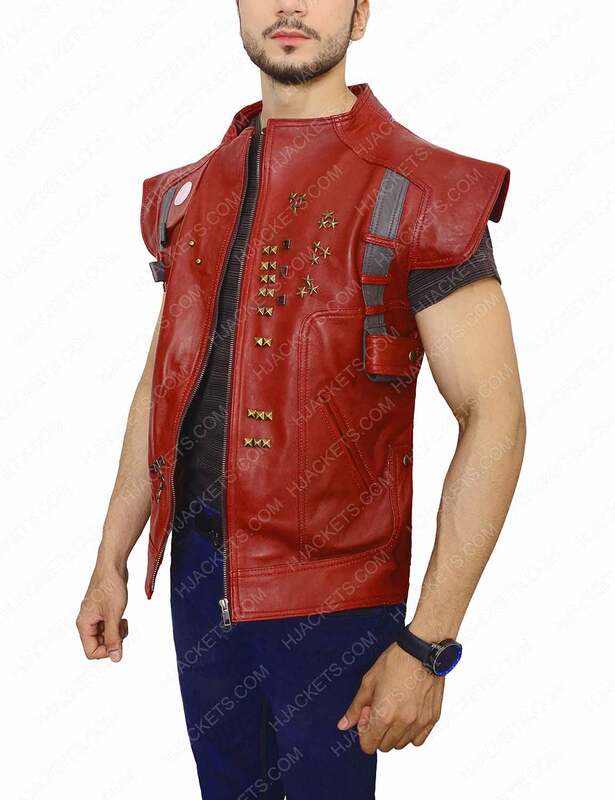 Right from the far fetched jacket transitions to the fantastic and vivid vests, bedecked with magnificent star studs, Star Lord Chris Pratt Vest has clearly won the galactic garments charisma among the sci-fi geeks. Unique Vest A Guardian of the Galaxy is the most popular movie that’s why I supposed to buy the attire from this movie. 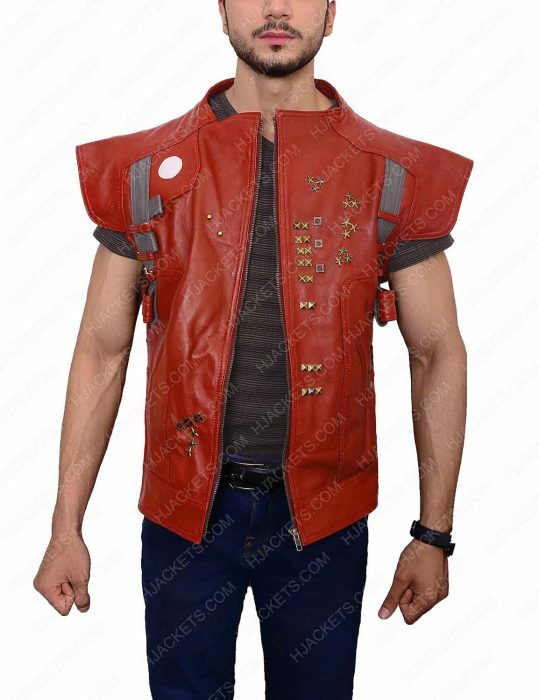 On hollywoodjackets.com, I found the Star-Lord vest that seems attractive and unique from all the jackets and coats available here. The design of the vest looks impressive and I must say that I didn’t found this type of apparel anywhere else. It arrived after three weeks and I must say that it is a late delivery. But when I received my parcel, I was impressed. I was angry on late delivery but the material of my products makes me feel relaxed. I am satisfied now with the purchase and happy to purchase from this site. The color seems appealing that looks amazing when I wore it. Yes, I must say it is the perfect purchase for me and will be buying again for my family members as well. Thank you!